Shakily gripping his iPhone, a father zooms in on his daughter’s tense expression, as she stares at her glowing laptop. She bites her lip, holds her breath, and makes one final, definitive click before dropping her jaw. “I GOT IN!” Her mom runs into the room and screams alongside her daughter, as her dad continues to film the culminating celebration of countless AP courses, after-school activities and Common Application essay revisions. College admissions decisions play pivotal roles in the lives of high school seniors and their families. For many, getting into an elite college or university is validation for years of hard work, representing greater future opportunities and acceptance into a select group of individuals. With plummeting admissions rates, however, it is becoming increasingly difficult for students to gain the coveted acceptance letter. Dartmouth’s past admissions cycle is testament to this trend. Of the 22,033 students who applied to the College’s Class of 2022, 1,925 students were offered admission, marking a record-low 8.7 percent acceptance rate. Within one admissions cycle, the College dropped its acceptance rate noticeably from the Class of 2021’s more standard 10.4 percent acceptance rate. In the past few decades, the College’s acceptance rate has generally decreased following an erratic history of admissions over the last century; in 1900, 636 men were enrolled at the College. A burgeoning applicant rate in the thirties was followed by a decline during the “war years” — a period between the 1930s and 1970s, according to Special Collections archivist Kenneth Cramer. 1972 marked the first year of female students; 3,412 men and women were on campus that fall term. 1,066 students joined the Class of 2003 — 1,215 students joined the College this past fall as members of the Class of 2021. Vice provost for enrollment and dean of admissions and financial aid Lee Coffin said that the acceptance rate decreased for the Class of 2022 due to the larger pool of applicants. 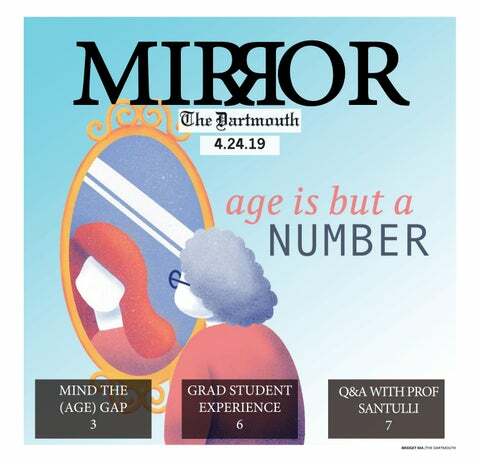 A greater number of applications and a projected high yield rate, based off of the Class of 2021’s record-high 60 percent rate, meant that the admissions rate would inevitably drop, Coffin said in a previous interview with The Dartmouth. Other Ivy League schools decreased their acceptance rates for the Class of 2022 as well. Coffin added that the College’s international outreach continues to draw more applicants, necessitating lower admissions rates. He added that other American universities’ decrease in acceptance rates is due in part to increased outreach worldwide. In Sept. 2015, the College announced its decision to become need-aware for international students, citing a desire to sustain the international student population. While only five American universities still offer need-bind admissions and full-need financial aid for international students, this decision garnered controversy, as domestic applicants remained need-blind. One of the goals of the College’s $3 billion capital campaign, “The Call to Lead,” is to reimplement need-blind admissions for international students. He added that since the advent of the Internet, students now have the capability to learn more about colleges online — while many students do continue to visit schools in person, students who do not have the opportunity to learn about colleges through websites and social media. Coffin added that the College has made efforts to optimize its online presence and reach out to prospective students. However, he also noted that he believes the higher yield rate can be attributed to the College beginning to highlight its excellence in undergraduate teaching to prospective students. Current students view the College’s academic reputation favorably as well. According to a Pulse survey, 61.9 percent of current students believe that the reputation is excellent, and 33.3 percent believe it is good. Prospective Dartmouth students also have the opportunity to experience life at Dartmouth during Dimensions, the events held every April for admitted students. Dimensions includes programming such as campus tours, faculty lectures and art showcases, in addition to more unique programming, such as the “Experience Dartmouth” student show, “After Dark Tours” and stargazing. Mary Roodnitsky ’22 said that Dimensions helped affirm her thoughts about the atmosphere at Dartmouth. The College’s welcoming environment can in part be attributed to current students’ eagerness to attend after receiving their own offers of enrollment. According to a Pulse survey, Dartmouth was the first-choice college for 57.7 percent of current students. Prospective students have further opportunities to learn more about student life in the “Experience Dartmouth” show, also simply known as the “Dimensions Show.” Current students perform song parodies, dance and share their experiences at the College to give prospective students a better understanding of life at Dartmouth. Edward Lu ’21 performed in this year’s Dimensions Show and said that the show tries to encapsulate the spectrum of student experiences at the College. Roodnitsky said that after attending the Dimensions events, she felt that the current students mirrored the kind of person she hopes to embody, which helped in her decision to commit to the College a week later. Coffin affirmed that through student outreach programs like Dimensions, he is confident this year’s yield rate will be high.